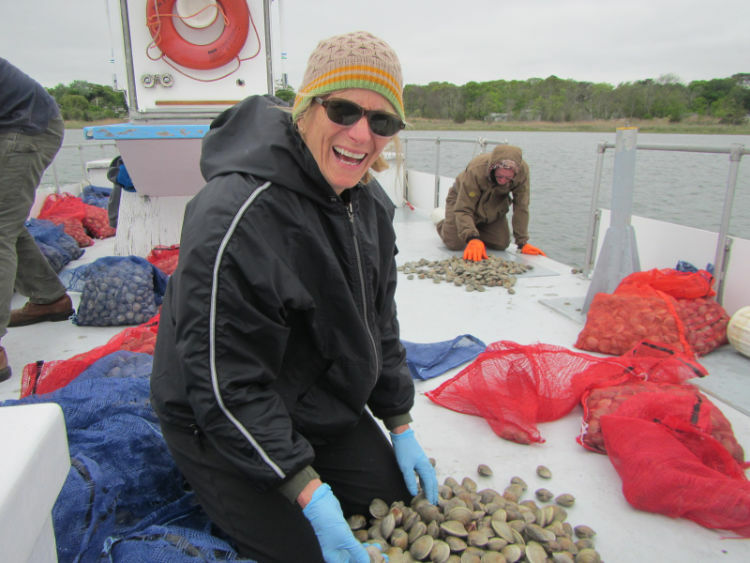 Clams and oysters, which are suspension-feeding bivalves, are both a fisheries resource and a provider of key ecosystem services. These shellfish can have a variety of positive effects on estuaries through their feeding activities, such as reducing phytoplankton and other suspended particles. In recent decades, bivalve populations in Shinnecock Bay have declined through overfishing, habitat loss, and disease. 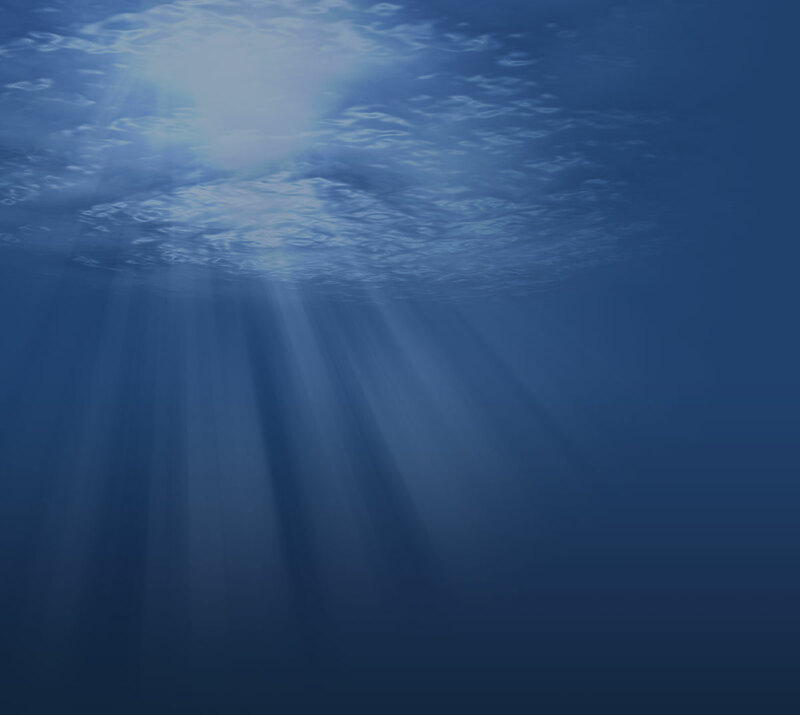 Ecosystem services these species provide have been lost, causing reduced water quality and other impacts. As a result of the severe reduction in bivalve filtration capacity, estuaries such as Shinnecock Bay are more vulnerable to environmental impacts associated with coastal human population expansion. For example, groundwater seepage is the primary source of nitrogen in many estuaries along the east coast of the United States. Another serious consequence of the absence of bivalve filtration pressure is harmful algal blooms (HABs), which are a significant threat to fisheries, public health, and economies around the world. Shinnecock Bay is a prime example of an estuary experiencing the global trend of intensifying HABs. Beginning in 1985, “brown tides” began to appear in Shinnecock Bay during the summer months. These tides are a result of a dense bloom of the algae Aureococcus anophagefferens in the water column, and are stimulated by high levels of organic nitrogen. 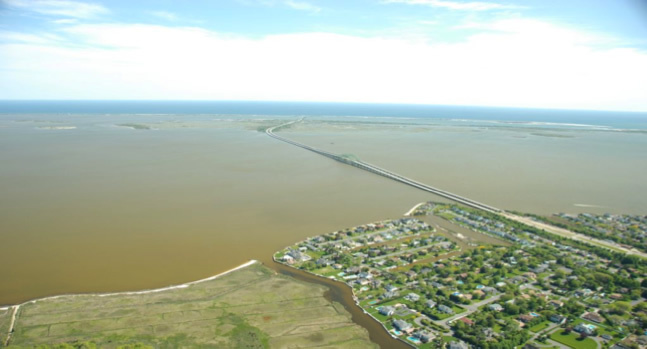 Because brown tide is better adapted to grow in areas with high levels of organic matter, it is able to bloom very successfully in coastal estuarine environments that are stressed by human activities. Although there is not yet one confirmed cause for these brown tides, research has implicated low rainfall, which reduces flushing, and elevated nutrients such as the nitrogen and phosphorus found in fertilizers and sewage. High densities of this type of algae give the water a visibly brown color. 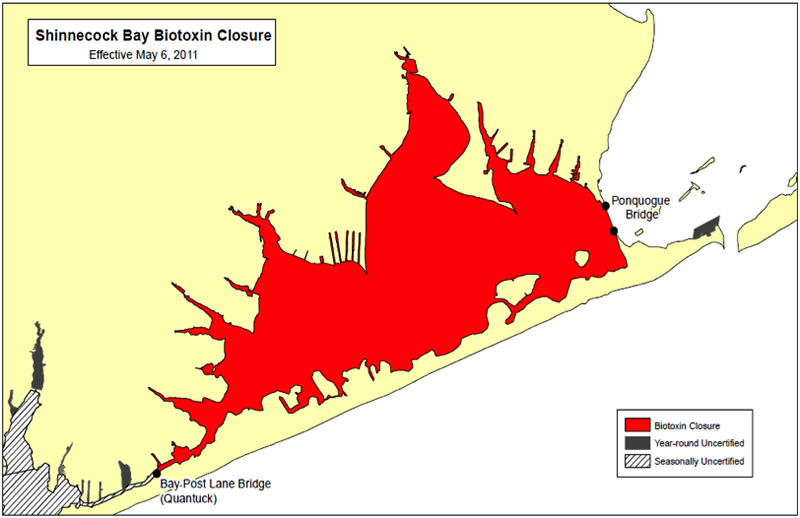 Unfortunately, brown tide is not the only harmful algal bloom in Shinnecock Bay, as red tides caused by toxic dinoflagellates (marine plankton) have emerged in this estuary during the past decade. 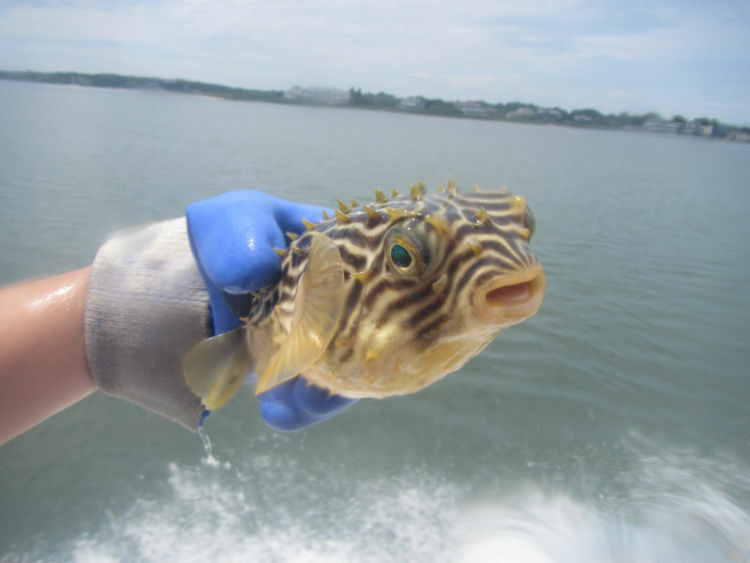 The first red tide, caused by the species Cochlodinium polykrikoides, occurred in 2004, causing kills of captive fish in the bay and at the Stony Brook Southampton Marine Science Center. These blooms have recurred annually since then, and are capable of causing rapid mortality in multiple species of finfish and shellfish. In 2008, the toxic dinoflagellate Alexandrium fundyense was first detected in Shinnecock Bay. This dinoflagellate differs from Aureococcus and Cochlodinium in that it produces a toxin (saxitoxin) that can accumulate in shellfish, leading to serious illnesses and even fatalities. A condition known as paralytic shellfish poisoning (PSP) can occur if contaminated shellfish are consumed by humans. This fear was nearly realized in the spring of 2011 when Alexandrium cell densities grew to more than 50,000 cells per liter, and shellfish in western Shinnecock Bay accumulated saxitoxins to levels more than four times higher than the USFDA established limit. The entire western half of Shinnecock Bay was closed to shellfishing and remained closed for more than a month. Unfortunately, this red tide event in April and May of 2011 was followed by anAureococcus brown tide in June and July which was followed by a Cochlodinium red tide in August and September. This chronic succession of harmful algal blooms in Shinnecock Bay has occurred annually for the past three years, and are evident this summer in 2012. This is a clear sign of the degraded nature of this system. Locally, as a consequence of algal blooms, seagrass beds have been lost in much of Shinnecock bay. Eelgrass is a plant that requires light to manufacture food and energy for itself, and algal blooms reduce light penetration. Eelgrass beds are an extremely important component of marine ecosystems because they provide a habitat and food source for many animals that live in Shinnecock Bay. Without this critical habitat, the populations of many other organisms in the bay decline, especially shellfish that rely on the eelgrass beds for protection. Without shellfish to filter feed the dense blooms of phytoplankton out of the water, more eelgrass dies and a negative feedback loop is created. 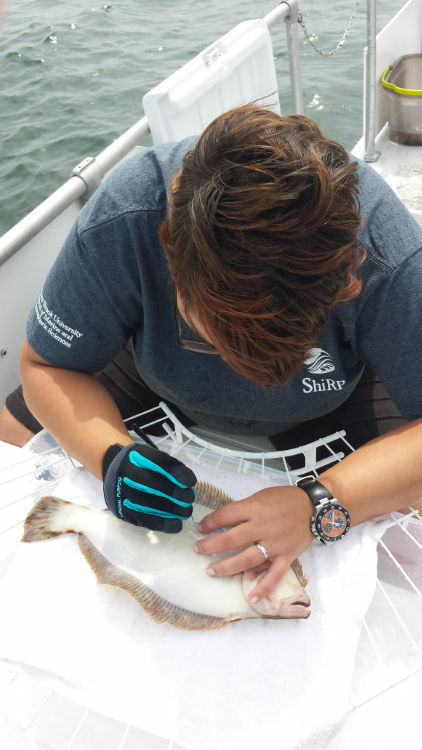 Eelgrass beds also sustain fish populations by serving as nursery habitat for juvenile finfish. Hence, the loss of this habitat has had a further negative impact on fish populations that rely on seagrass. 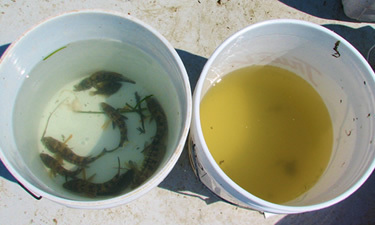 It is evident that algal blooms and loss of habitat, coupled with overfishing, have led to a dramatic drop in fish populations in Shinnecock Bay. For example, winter flounder is a recreationally important fish species of particular concern in Shinnecock Bay whose population has recently decreased.